It’s no secret here or to anyone I know I crave Mexican food all of the time, everyday. I love the balance of flavors it offers with acidity, sweetness, sour, and sometimes spicy, but always so good. Being on the cleanse I needed to find a way to eat tacos. Yes, it is difficult for me to not eat tacos for 21 days. I love tacos, clearly. I can eat tortillas on this cleanse, so long as they do not contain weird ingredients, they must be GMO free and organic or homemade. 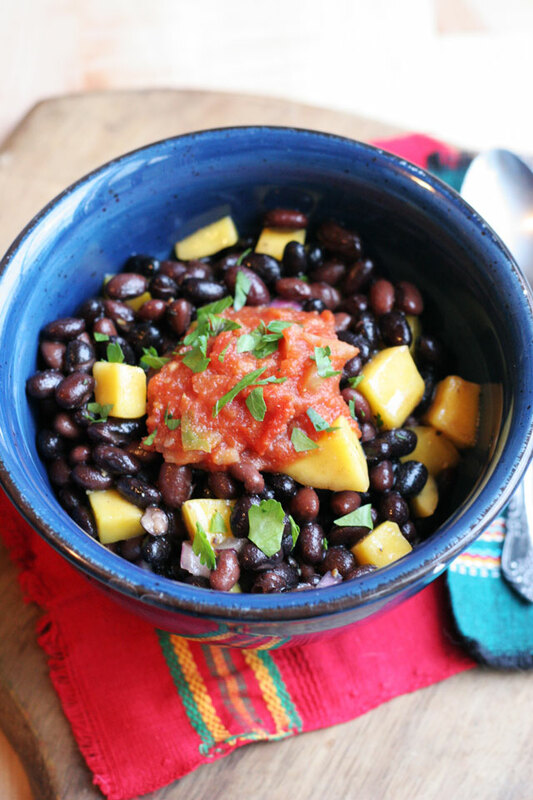 With eating less in general, I made the choice to make this black bean mango bowl, and if I made enough for leftovers I could have a taco… or two. 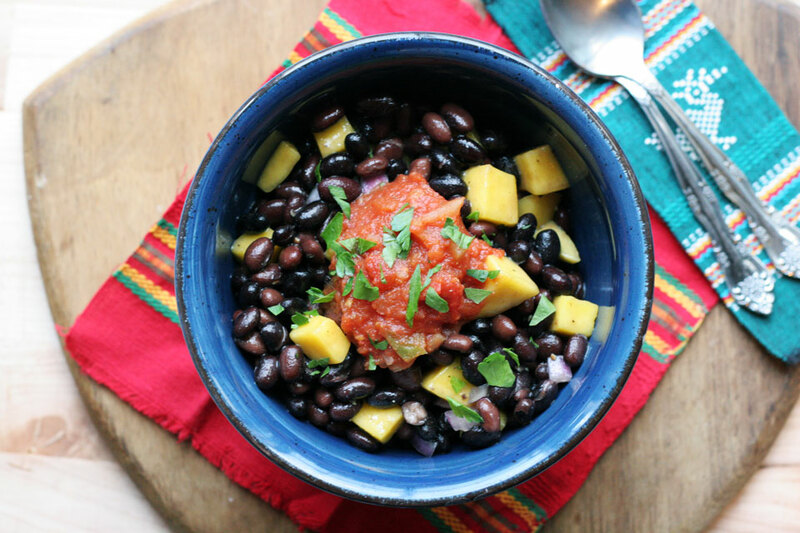 I included the mango chunks in this black bean bowl for added texture and natural sweetness. This recipe also benefits from chile Serrano, my favorite fresh chile, a squeeze of lime for brightness and always needed acidity, and crunch from red onion. It is simply, yet flavorful. Serve with guacamole, and your favorite salsa. If you want to go all out, add fresh corn tortillas for tasty tacos. Note: I used canned organic cooked black beans. You can also follow my recipe for homemade black beans, they are really easy and taste great! 1. In a large skillet add the olive oil over medium heat. Add the onions, and chile Serrano, cook for 2 minutes, stir frequently. Add the black beans, mango, and lime juice stir to combine. Add the salt and pepper. Turn off heat. Taste for seasoning. 2. Serve warm in individual bowls or family style. Garnish with cilantro. Serve with a your favorite salsa, guacamole, and fresh corn tortillas.